The ranks of entrepreneur moms in the U.S. appears to be on the rise. And from our vantage point, it’s all thanks to a perfect storm currently hitting the U.S.: a rising maternal age (especially in big cities), meaning women often have more established careers and senses of self before starting their families; the punishing motherhood penalty and enduring gender wage gap most women face when they return to work post-baby; the work-from-anywhere mobility of many modern industries; and the ease of self-marketing via social media. While some mothers start businesses in order to see a big idea come to life, others look to the flexibility that it can often afford them—an option to work and raise children on their own schedule. And while entrepreneurship is certainly more about hard work than glitz and glamour, it seems to be a path more and more qualified women are open to taking. Unfortunately, there are still many sobering statistics around women-owned businesses and the lack of resources—in the form of funding, mentorship, and more—that are offered to them. Which is why sharing the stories of female business owners, supporting them, and learning from each other is key. 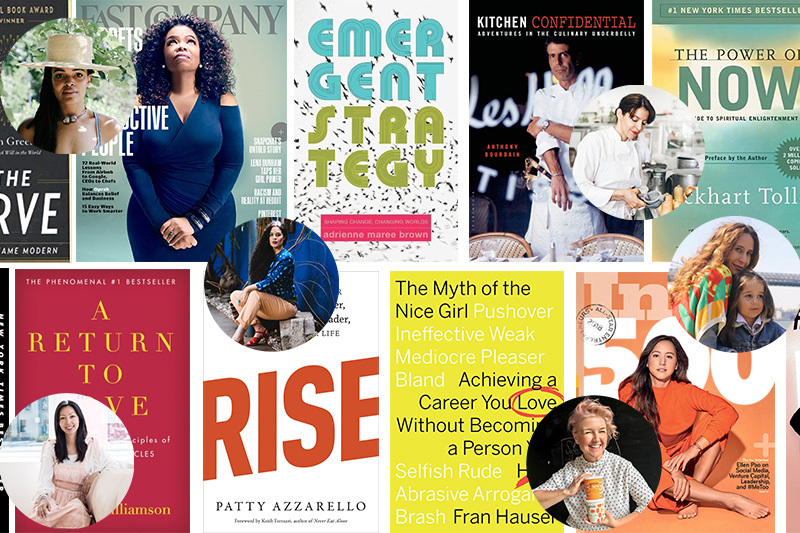 And that brings us to our special “Mother Essentials” installment below, in which 6 inspiring founders (who will all be speaking at the upcoming In Good Company conference in San Francisco) share their top books, quotes, practices, and other bits of advice that have aided their journey as entrepreneurs and mothers. 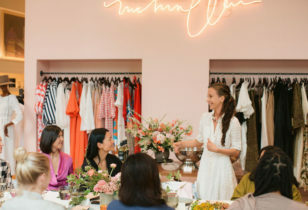 Click on for keen advice from designer Mara Hoffman, The Jungalow‘s Justina Blakeney, filmmaker A-lan Holt, Jen Britton Bauer of Jeni’s Splendid Ice Creams, Bee Shapiro of Ellis Brooklyn, and Cosecha‘s founder/chef Dominica Rice-Cisneros. 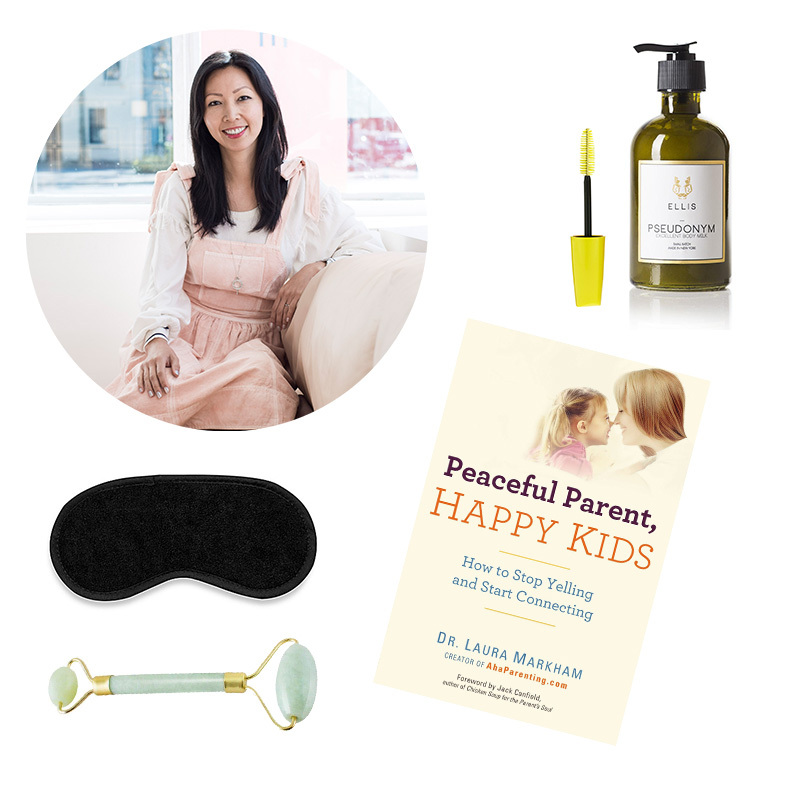 For more “Mother Essentials” roundups, check out the top picks of Joy Cho of Oh Joy!, Erin Boyle or Reading My Tea Leaves, and Bekah Stewart of A Well Traveled Woman. "I love to hear stories from other founders and hear about the steps they took to build their businesses, so I love the How I Built This podcast on NPR and I never miss an episode. Even when the businesses don't seem to have anything in common with mine, I always leave with nuggets of information and ideas about how to approach things." How I Built This via NPR. "I read lots of biz mags religiously, including Fast Company, Inc., and Entrepreneur. I always learn something from each issue that I can, in some way, apply to my work and business model." Fast Company annual subscription, $9.97, Amazon. Inc. annual subscription, $9.97, Amazon. Entrepreneur annual subscription, $6.99, Amazon. 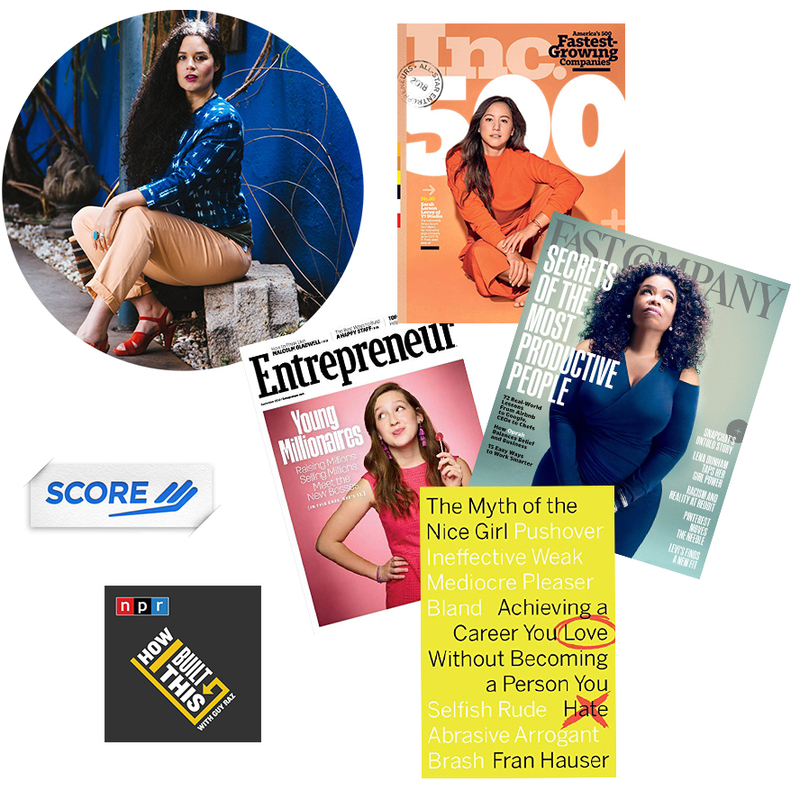 "This year I read Fran Hauser's book The Myth of the Nice Girl, and in it I found lots of good tips and tricks on how to command a room, how to deal with uncomfortable situations, and how to lead a team with kindness, empathy, and strength." The Myth of the Nice Girl, $14.30, Amazon. "My father has always said, 'If it ain't broke, don't fix it.' These are words I live by in my business." "Lastly, we have been receiving consultations from the Score offices, where you can meet with retired business folks for free for help with different aspects of the business. I find it's always valuable to speak with people who know nothing about my particular business, but who are smart business folks. It helps to distill ideas, and shape how you talk about and think about your business." Free mentorship sessions via Score. For more on Justina, check out The Jungalow and follow her on Instagram here and here. You can also hear more about Justina's creative process and business story (financial realities and all) on this candid Clever podcast. The Power of Now: A Guide to Spiritual Enlightenment, $9.49, Amazon. A Return to Love: Reflections on the Principles of "A Course in Miracles", $10.87, Amazon. How to Change Your Mind: What the New Science of Psychedelics Teaches Us About Consciousness, Dying, Addiction, Depression, and Transcendence, $14, Amazon. "Be Here Now by Ram Dass. This is the Bible for any spiritualist. It's an epic book full of beautiful words and visuals, everyone should have a copy of it." Be Here Now, $7.51, Amazon. For more on Mara, check out her site, follow her on Instagram, and read her Mother profile. You can also hear more about Mara's inspiring thoughts on business and life on the What's Undernearth podcast by StyleLikeU. 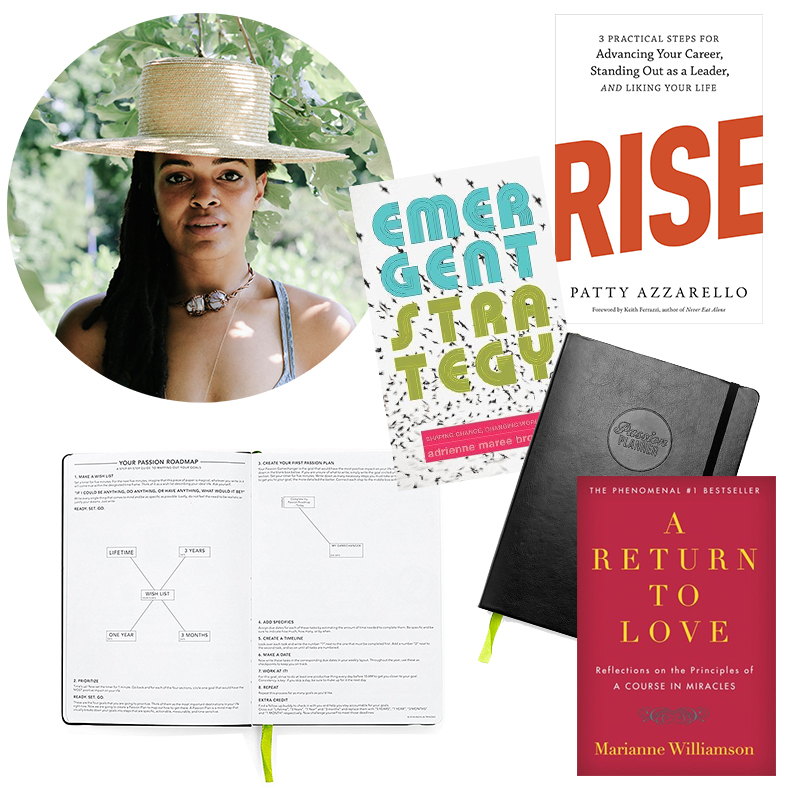 "There are a number of books and resources I love that have helped shape me over the years. My number one book of all time is Enlightenment Now by Steven Pinker. It just puts everything in perspective." Enlightenment Now: The Case for Reason, Science, Humanism, and Progress, $19.99, Amazon. 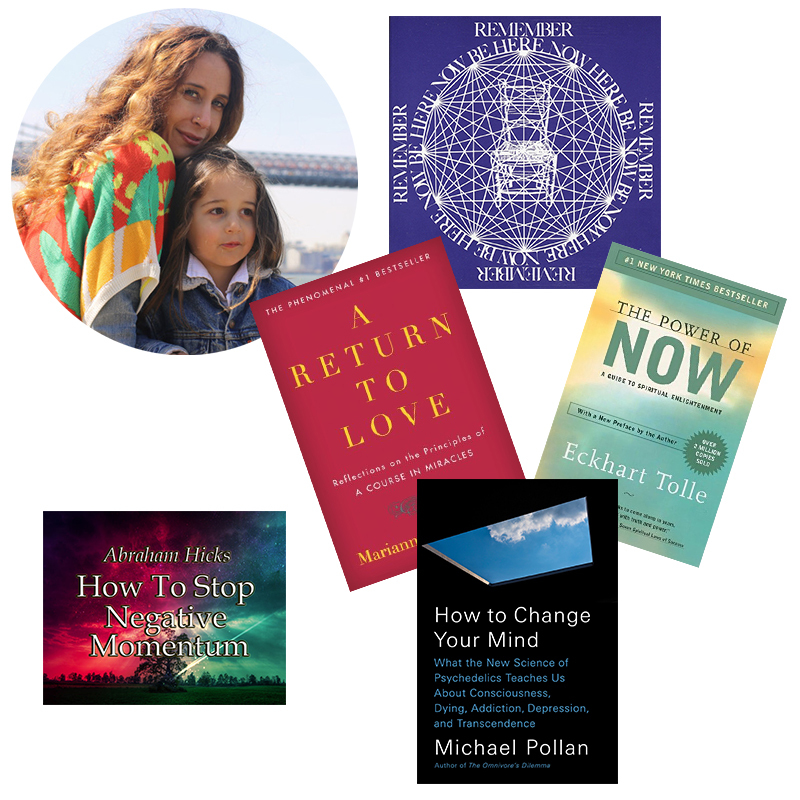 "On becoming who I wanted to become and never resting on my laurels or making excuses: Choosing Civilty by PM Fourni, The Four Agreements by Don Miguel Ruiz, and It's Not How Good You Are, It's How Good You Want to Be by Paul Arden." Choosing Civility: The Twenty-five Rules of Considerate Conduct, $12.74, Amazon. The Four Agreements: A Practical Guide to Personal Freedom (A Toltec Wisdom Book), $7.49, Amazon. It's Not How Good You Are, It's How Good You Want to Be, $8.21, Amazon. 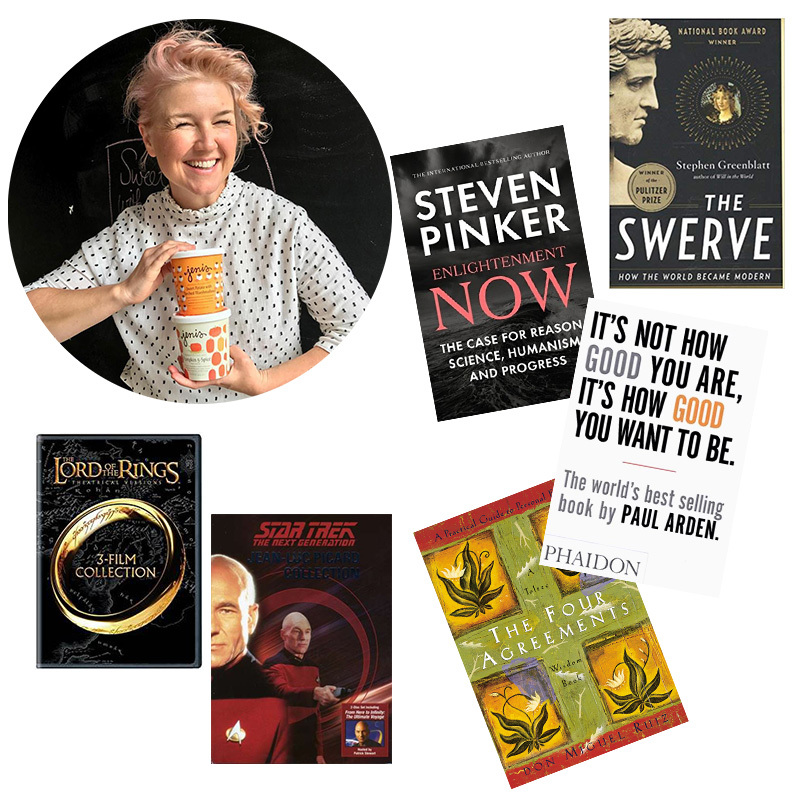 "On leadership: The Lord of the Rings series (the movie versions) and Star Trek The Next Generation: Jean-Luc Picard Collection." The Lord of the Rings Collection, $11.99, Amazon. Star Trek The Next Generation: Jean-Luc Picard Collection, $3.48, Amazon. "On never giving up, on feeling grateful, and on always fighting forward for America and our values: Frederick Douglass' “What to the slave is the Fourth of July” speech, Martin Luther King Jr.'s Letter from a Birmingham Jail, Hamilton by Lin Manuel Miranda, and The Swerve by Stephen Greenblatt." “What to the slave is the Fourth of July” by Frederick Douglass. Hamilton by Lin Manuel Miranda. The Swerve: How the World Became Modern, $7.22, Amazon. "An essential resource to developing my marketing skills: Studying art history. You learn how to write and see emotional patterns in art and objects and eras. And you learn to make emotional connections between disparate things. I can not tell you how much I use this in my marketing. I am not nostalgic for history, because I read too much of it. I can feel it. I want to make sure America is always moving forward and I have always tried to answer that call no matter how few resources I have had. This sounds stupid, but it isn’t. The best thing anyone can do if they want to do what I did—or to start a company—is to just do it. Yours will be different from mine. You’ll learn along the way." "The best advice ever: Be brave. To be proud of your scars. To build resilience. And make that your life’s work. Being tough is your greatest skill." "I find that watching others work is actually the best resource. For me that was: Bobbi Brown (cosmetics), J.C. Wyatt from Baby Boom (movie), Aragorn (Lord of the Rings—be a frontline fighter, not Napoleon on the hill), sometimes it’s Frodo, Picard (it's all about civility in action here), and LeBron James (I push myself to be a champion)." For more on Jeni, check out her site and her Instagram feeds here and here. You can also hear more about Jeni's business story on the How I Built This podcast. "Starting a business is stressful and I found I was trying to be this perfect human being and balancing it all, when I truly wasn’t and was instead feeling frayed at the ends and sometimes resentful because I didn’t have enough time to myself. Although my business was thriving, maybe I wasn’t being my best self in my personal life and especially with my kids. The book Peaceful Parent, Happy Kids was a game changer. 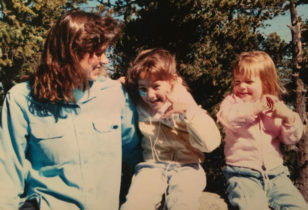 I didn’t grow up with a mom that was there for me and I had so many pent up dark feelings from that kind of childhood that I didn’t even know was affecting my parenting. This book made me self-reflect." Peaceful Parent, Happy Kids, $10.87, Amazon. "It's not eloquent or perfectly worded, but I learned this in law school: 'Whatever your worries, you're not going to solve them by losing sleep.' One of my law school professors told our first year class this and it's stuck with me. Law school was the first time in my life where I was literally faced with insurmountable work. There was no way I could finish all I had to do in a day, so it taught me how to pick and choose and how to prioritize. It also taught me that rare is the worry that is worth losing sleep over—and it doesn't help anyone if I'm irritable and tired the next day." "Makeup, skin care, self-care, etc. goes a long way. 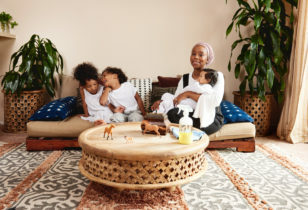 I've been a beauty columnist at The New York Times for almost 10 years, but I truly discovered the power of beauty after having my second child. I was feeling a little low on myself—certainly, however vainly, I wasn't altogether happy with how my body had changed and was not bouncing back and probably would never look the same no matter how much gym time I put in. I also was severely short on sleep all the time. That's when, to cheer myself up, or to make myself halfway presentable, I really embraced makeup, skin care, self-care, and all that jazz. And you know what? It did make me feel better when I had that radiance under-eye concealer in place and loads of eyeshadow and mascara on and spent time doing my eyebrows. And I did hold my head a little higher when I got a ridiculously time-consuming and expensive facial and face massage. So, is beauty a surface kind of thing? Yeah, I suppose it's never going to compare to covering wars and true global crises, but I think beauty is also a complex thing and so important in its own way." For more on Bee, check out her column for The New York Times, and follow her on Twitter, and Instagram here and here. "For business books, #GirlBoss by Sophia Amoruso is a joy to read and has great advice. Also, Kitchen Confidential by Anthony Bourdain is a great reality check for people who think how fun it would be to open a restaurant. Fun has nothing to do with it!" Kitchen Confidential: Adventures in the Culinary Underbelly, $15.93, Amazon. "Growing up in Los Angeles deep in the Reagan years was definitely a kind of beautiful chaos. 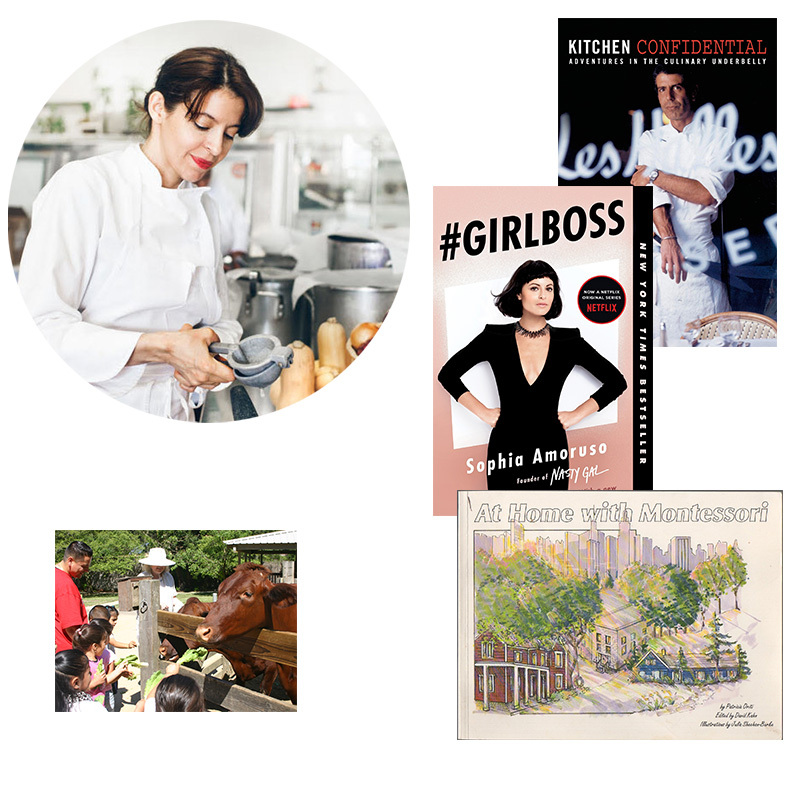 It prepared me to be a hard as nails chef and restaurateur, but not so much for motherhood! A strong example of my Mexican grandmother and Chicana mother-in-law gave me a positive road map to follow. A few parenting books that I have loved: At Home with Montessori by Patricia Oriti and David Kahn—after being told to baby proof the entire house, this is a welcome change. This small book shows us how to make real spaces for our children in every room. Raising Children Compassionately: Parenting the Nonviolent Communication Way by Marshall B. Rosenberg is a fast read full of great pointers. My Book Full of Feelings: How to Control and React to the Size of Your Emotions by Amy V. Jaffe helped my little one so much, she loved it." At Home with Montessori, $59.99, Amazon. Raising Children Compassionately: Parenting the Nonviolent Communication Way (Nonviolent Communication Guides), $5.95, Amazon. My Book Full of Feelings: How to Control and React to the Size of Your Emotions, $32.44, Amazon. "To decompress, I love Tilden Little Farm in Berkeley. My husband and I take our young daughter every Sunday. It's the best and it's free." Tilden Little Farm, open 8:30am-4pm daily, Tilden Regional Park. "In general, my advice is surround yourself with amazing home girls and hold on for dear life!" For more on Dominica, check out her website, and follow her on Instagram here and here.